In the Metolius area, the Deschutes Land Trust is focused on protecting the mainstem Metolius River and Lake Creek. Lake Creek is a key tributary because: (1) most of the private land in the Metolius sub-basin is concentrated around it; (2) its water source is Suttle Lake, meaning its water is relatively warm compared to other streams in the sub-basin, which are spring-fed. This warm water may facilitate production of spring chinook smolts; and (3) it is the gateway for sockeye salmon to reach Suttle Lake, home to one of Oregon’s two historic sockeye populations. The Land Trust has protected the largest private property in the area (Metolius Preserve, 1,240 acres including approximately 2.5 miles of Lake Creek) and also the headwaters of Spring Creek, a stream that increases flow of the Metolius River by 30% where the two streams join. 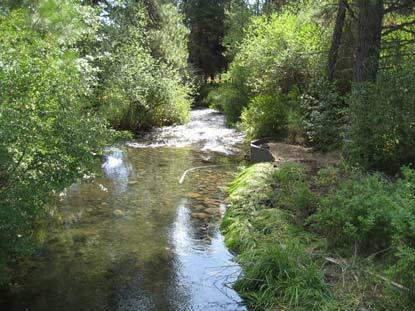 To date, the Upper Deschutes Watershed Council has completed work on ​five of the 25 unscreened and/or impassible, small- scale private diversions in the Lake Creek watershed. Within the next six years, the Upper Deschutes Watershed Council expects to complete the remaining 21 projects provided that funding is available for the extensive and complex landowner negotiations. While this may appear overly ambitious, nearly 3/4 of the remaining screening and passage projects can be bundled into single projects, greatly improving efficiency and overall project success. The Upper Deschutes Watershed Council has completed ​two major stream restoration project in the Metolius, removing a historic dam thought to have caused the demise of the Suttle Lake sockeye run, restoring approximately ¼ mile Lake Creek in the process and restoring approximately 1/2 mile of Spring Creek. In the next six years, the Upper Deschutes Watershed Council will continue working with state, federal and local partners to identify and implement any needed habitat restoration projects. 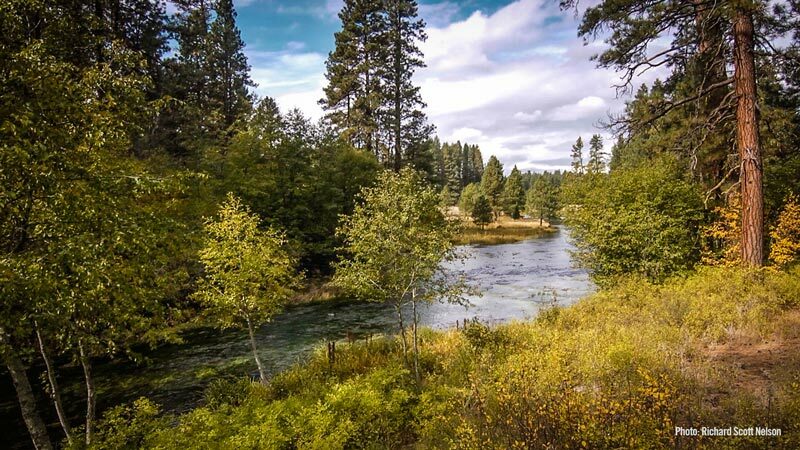 Much of the long-term success of the restoration efforts in the Metolius will depend upon the degree to which the local community is connected to and engaged in local watershed management issues. The Deschutes Partnership’s outreach programs in the Metolius are focused on key landowners in the Lake Creek area where conservation and restoration projects depend upon the success of landowner relationships and the degree to which landowners have an understanding and awareness of watershed restoration needs. On-the-ground stewardship activities, tours, presentations and media coverage all contribute to improved awareness and understanding to support the required restoration projects.